If You Have Been Contacted by Federal Agents, You Need to Be Very Careful about What You Say and Do. Here Is Some Important Information from Medicare Fraud Defense Attorney, Dr. Nick Oberheiden. Dr. Nick Oberheiden is a health care fraud defense attorney who devotes much of his practice to representing providers in Medicare-related investigations. While Medicare fraud investigations have become routine in today’s world of aggressive targeting and “takedowns” of health care practitioners, being targeted in an investigation does not have to mean facing federal charges. Dr. Oberheiden has a proven track record of favorably resolving Medicare investigations without civil charges or criminal indictments, and he uses this experience to protect health care providers facing a wide range of allegations nationwide. Q: Why am I being contacted by federal agents? As a health care provider who bills Medicare, you are in the government’s crosshairs. It’s that simple. From the Department of Justice (DOJ) to the Drug Enforcement Administration (DEA), various federal agencies monitor and scrutinize health care providers’ Medicare billings on an ongoing basis. In doing so, they are seeking to find any evidence of unlawful referral relationships, improper prescription practices, or “false or fraudulent” claims that could justify demands for recoupment, imposition of fines, and other penalties. Q: If the agents are from the DEA, does this mean that the DEA is the only agency looking into my practice? No, not necessarily. The DOJ, DEA, and other federal agencies often work in concert to target health care providers suspected of engaging in fraudulent Medicare billing practices. This includes, but is not limited to, operating joint task forces such as the Medicare Fraud Strike Force, the Opioid Fraud and Abuse Detection Unit, and the Prescription Interdiction & Litigation (PIL) Task Force. Q: What is the government looking for? Q: Do I have to give the agents everything they ask for? No, and that’s critical. The extent to which providers must comply with requests for information depends upon the source, nature, and scope of each individual request. Before giving federal agents information that could potentially be detrimental to your defense, you need to assess whether you have grounds to ignore, dispute, or deny the request – and whether you should assert them. Q: What else should I be doing to protect my practice? In addition to being very careful about the information you voluntarily disclose to the government, there are a number of other steps you should be taking to protect your practice as well. While each individual investigation calls for its own tailored response, general steps providers will want to take under most circumstances include conducting an internal review, preserving records, and providing clear instructions to employees. Q: What constitutes “Medicare fraud”? Any act or omission that results in an overpayment from Medicare can potentially be prosecuted as Medicare fraud. Medicare fraud is a broad term that includes both civil and criminal offenses. 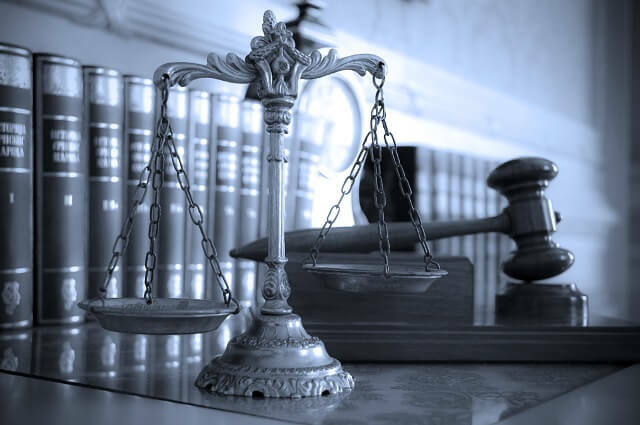 In order to identify the specific allegations against you, you will need to hire experienced legal counsel who can intervene in the government’s investigation and read between the lines to discern the nature of the government’s inquiry. Q: Could I be facing prison time? Maybe eventually. If you are currently under investigation, this means that you have not yet been charged and this means that you still have the opportunity to close the investigation without an indictment. However, if you do not defend yourself effectively and if the government’s investigation leads to criminal charges being filed by the DOJ, then prison time could be on the table. Q: What should I do if I am aware of Medicare billing violations? This is a very sensitive matter. First and foremost, you need to be absolutely certain that what you have discovered is a violation. From statutory exceptions and regulatory safe harbors to changes in the Medicare billing regulations, there are a number of reasons why an apparent violation may not actually constitute a prosecutable offense. But, let’s say that you and your defense attorney review the issue, and you determine that there is a situation you need to address. Should you disclose this to the federal agents in charge of your investigation? The answer to this question depends on a variety of different factors. To avoid a potentially devastating mistake, you will need to make an informed decision with the advice of legal counsel. Q: Do I need to be prepared to go to court? Maybe, but probably not. In the majority of our cases, our clients are never formally charged. We have developed strategies for instituting the primary goal, effective protection during the investigative process. If you get charged, your case may ultimately end up in court. However, there are still a number of options for favorably resolving your case prior to trial. Q: When should I think about hiring legal representation? If you are under investigation, it is time to hire legal representation. In fact, you should really have an attorney working on your defense already. At this point, the ideal scenario is to convince the DOJ to drop the investigation without pursuing charges. In order to do this, you need an experienced defense attorney fighting for you every step of the way. If your health care practice is under investigation for Medicare fraud, health care fraud defense attorney, Nick Oberheiden, PhD, can help you avoid federal charges. To schedule a confidential initial consultation, please call (888) 356-4634 or request an appointment online now.